As the inventor and pioneer of LipoStructure®, a revolutionary fat grafting technique, Dr. Sydney Coleman has corrected imperfections and transformed the bodies of numerous men and women. As traditional liposuction became popular in the ‘70s and ‘80s, people began to notice dents and irregularities in the treated areas, technically known as post-liposuction iatrogenic deformities. Dr. Coleman performs LipoStructure® using the patient’s own fat to effectively correct these deformities, indentations, or “dimpling” caused by prior liposuction surgeries. Dr. Coleman was the first physician to observe and announce to the scientific community the regenerative ability of fat grafts and their associated stem cells. 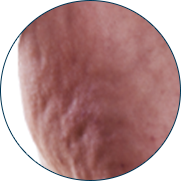 Liposuction deformities are often associated with retracted scarring, and placing fat into the scarred areas allows release of the adhesions and aids in preventing new scarring from occurring. 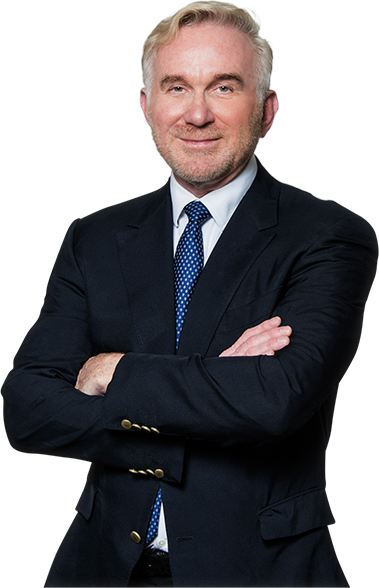 Board certified by the American Board of Plastic Surgery (ABPS) and licensed to practice in the states of New York, Florida, and Pennsylvania, Dr. Coleman has dedicated more than three decades to providing superior body contouring results for his patients in New York City and the surrounding areas. Are you a candidate for LipoStructure® to correct your liposuction deformities? using the patient’s own fat to effectively correct these deformities, indentations, or “dimpling” caused by prior liposuction surgeries. What is Dr. Coleman’s experience with fat transfer? Dr. Coleman first performed breast augmentation using fat transfer in 1995. Currently, he has performed over 100 fat transfer procedures, and many patients have maintained excellent results even at 10 years down the road. No other plastic surgeon has been performing fat transfer for breast augmentation as long as Dr. Coleman. How much larger can I make my breasts with fat transfer? Fat transfer is ideal for patients looking for a subtle increase in breast size. Generally, it is possible for the breasts to increase one cup size per procedure. For patients who desire a larger increase, multiple procedures are necessary. How long does the fat transfer procedure take? Since fat transfer requires a two-step technique, the procedure takes longer than traditional augmentation. To obtain ideal long-term results, Dr. Coleman must carefully harvest the fat, preserving as much tissue as possible. Fat tissue is then centrifuged to separate unwanted fluids and oils. The processed fat is then injected into the breasts in layers to provide the greatest access to a blood supply. The procedure takes an average of somewhere between three and five hours. What is the recovery process after fat transfer? Recovery is generally determined by how many areas were used for donor sites. The location of donor sites and the number of donor sites determines how long and painful the recovery process will be. Sites that fat was harvested from will be swollen, bruised, and uncomfortable for at least the first week. The breasts may experience slight bruising and swelling, but in most cases there is little to no breast pain. You may feel sore for up to two weeks after your surgery. Most patients return to work a week or so after surgery. The majority of the bruising and swelling should subside after three weeks, but minor swelling may remain for up to six months after surgery. How much is the average tissue survival rate? Fat tissue is easily damaged, and that’s why the delicate Coleman LipoStructure® technique is used for breast augmentation. Dr. Coleman’s technique ensures that the fat is injected in a way that gives it the most access to the blood supply. Dr. Coleman’s LipoStructure® is renowned for having the highest survival rate of transplanted fat. In fact, recent studies at NYU suggest that the Coleman technique yields a survival rate of up to 85 percent. Will fat transfer cause complications with future breast cancer detection? It is possible that calcifications and lumps can occur after fat transfer (as it can after any breast surgery), but there is no evidence to suggest that fat transfer will cause breast cancer or prevent its detection. The American Society of Plastic Surgery (ASPS) has determined that fat grafting to the breast is safe and that there is no higher incidence of breast cancer among those who have had fat grafting. They do recommend, however, that the surgeon performing fat grafting to the breasts should be someone with a good deal of experience doing this procedure. Dr. Sydney Coleman for his acclaimed LipoStructure® procedure. To learn more about fat grafting with LipoStructure® or to schedule your consultation, please fill out the contact form below.